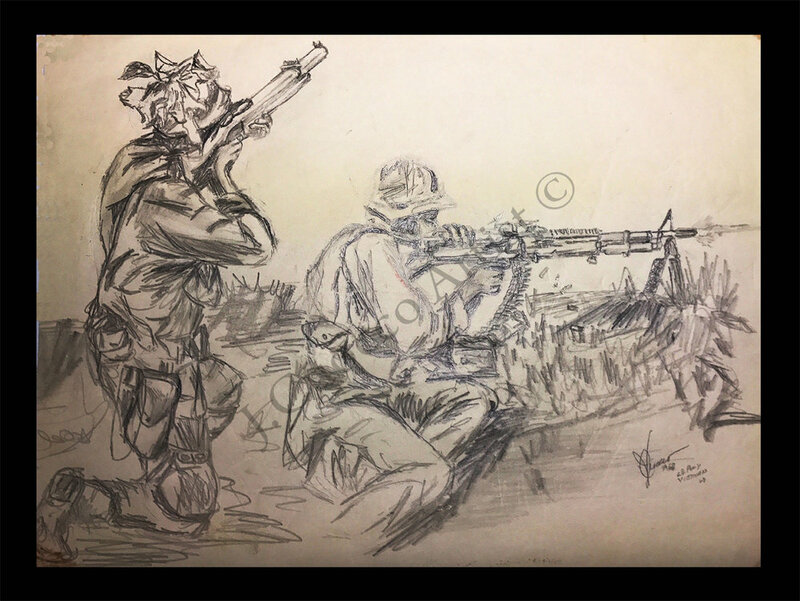 After watching "The Vietnam War" on PBS I felt compelled to dig up the past.. these drawings were done by me, Vietnam 1967-1968, in country & during combat operations.. 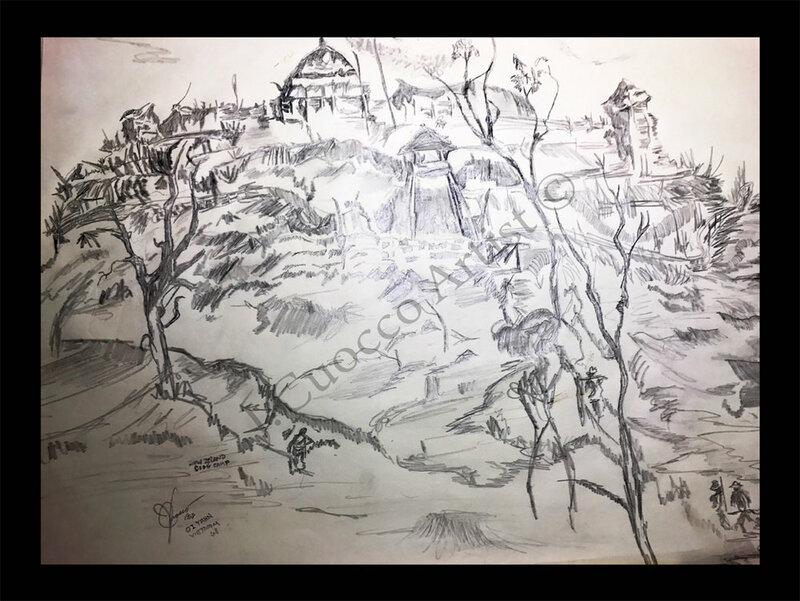 I haven't seen these for over 30 years I had them stashed away and hidden from my mind, I donated 6 other drawings to the Smithsonian Museum. (but not these) .. like I said, after seeing the documentary and especially tonight's final episode I felt compelled to show them and cleanse myself, but most of all to honor not only those who gave up their all, but my brothers who came home and try to live their life and see beauty in it.. as I have dedicated and honored today's Veterans with my "2017 American Hero's Collection" I now want to come full circle and honor my brothers who served in Vietnam .... "the Let It Be Collection"